A cookie is a text file that a Web site sends to your computer (or other devices with an Internet connection) the visitor to uniquely identify the browser of the visitor and / or to save data or settings in the browser. 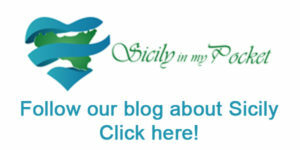 What types of cookies are used on sicilybyexperts.it? These cookies are essential to conclude a transaction or to finalize a request initiated by the user. For example, it is useful to remember information you provide while browsing the site in order to manage the state of access during the session. These cookies allow the website to remember the choices made by the user in order to simplify and speed up some functionality. For example, cookies allow functionality to the Web site to remember the settings for a specific user, such as language selection or authenticated access, to store the login data. These cookies, Google uses Analitycs, allow you to gather data on the site navigation in order to monitor the usability, accessibility, and for statistical purposes. How they disable or remove cookies?